Thank you for using Goodsearch! At the end of October, there were 4305 searches done using Goodsearch, which resulted in $43.05 raised for the AOII Foundation. This was slightly lower than September, by 72 searches. Someone pointed out a few weeks ago that Pi Beta Phi had already raised over $600 this year for their Foundation. They raised just over $70 in October. Almost every other Greek organization also has a Goodsearch account. While $40, or $70, may not seem like much…every little bit helps. Especially when you don't have to write the check! It's hard to remember to use another search engine, especially when the Google toolbar is right there in the browser, but let's see if we can reach 5000 searches for November! 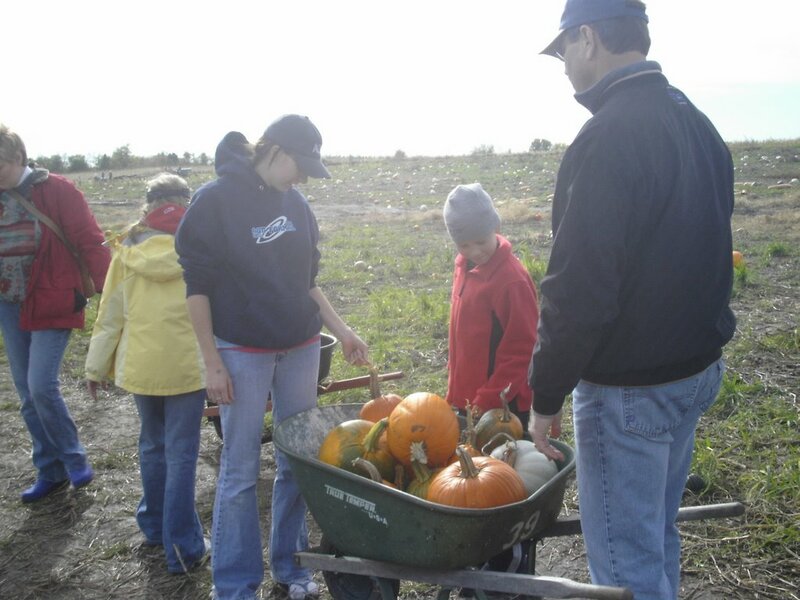 Here is another picture from the October visit to the pumpkin patch. Thanks to the women at Delta Pi for the pictures!